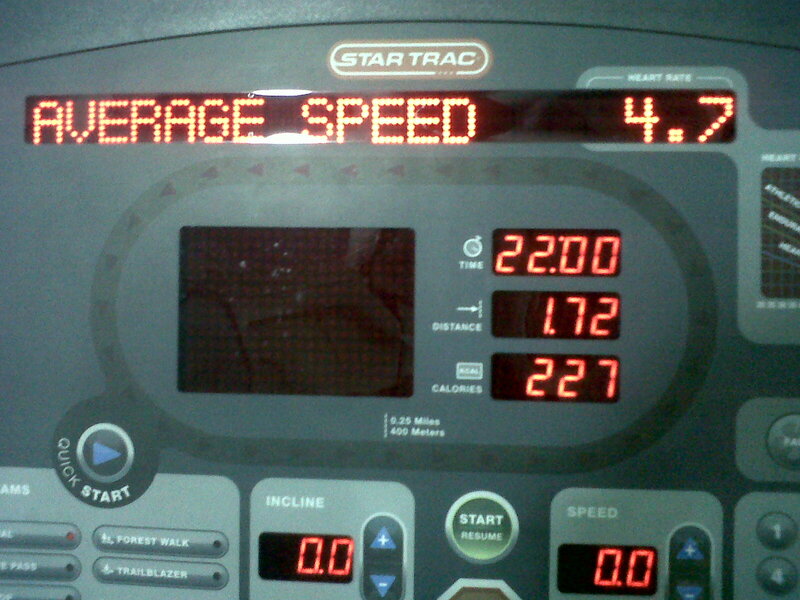 Over 200 calories burned over 22 minutes of running. Not too bad, right? I didn't want to go fast but I didn't want to be all slow either so I'm debating whether or not that average 4.7 mph is a little on high side for someone just getting into the swing of things. 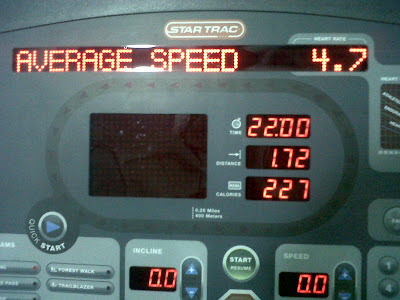 I felt like I was ready to collapse on that treadmill so I toned it down. Maybe I should be going closer to 4 mph? Another stat that I'm a little worried about is the 171 lbs. Is that too heavy for some one of my stature? Do I need to go look for some weight loss pills and if so, which ones would be the best weight loss pills for some one like me? You know, some one that doesn't want to lose a ton a weight but just enough to lose the fat while the muscle builds. I'll have to take a look into that since I'm not sure I want to take that route, but it's definitely an option. So what do you guys think? Too fat? I'll be checking on my stats every 2 weeks, maybe once a month and we'll talk about my progress. I guess I should take notes on what kind of exercise I did too, huh. I'll see what works best for me. Later!